Site code CVG from Riese (2004). Alternative names according to Brady et al. (1997). Location recorded at the entrance of Cueva de Galon by Sven Gronemeyer with a handheld Global Positioning System (GPS) in 2018. 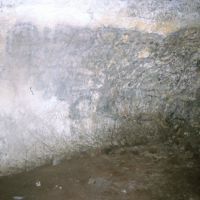 1997 Preclassic Cave Utilization Near Cobanerita, San Benito, Petén. Mexicon 19(5): 91–96. 1995 Maya Hieroglyphs Discovered in a Guatemalan Cave. Mexicon 17(2): 62–64.